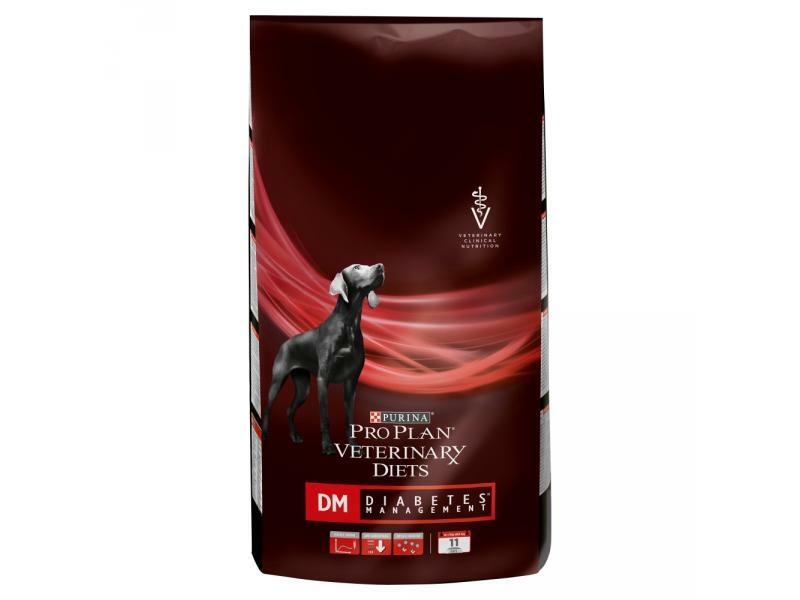 PURINA PRO PLAN VETERINARY DIETS Canine DM Diabetes Management is a highly digestible complete veterinary diet for dogs with diabetes mellitus. PPVD DM contains fibre and low levels of carbohydrate to help slow carbohydrate absorption. It also contains extract of white bean that has been shown to control blood sugar levels after a meal. PPVD DM contains anioxidants to help reduce oxidative stress in diabetic dogs. There are currently no questions for Purina Pro Plan Veterinary Diets Canine DM Diabetes Management - be the first to ask one!